So there was a lot of discussion around the Army's latest campaign that launched in January, there always is. People are fascinated by their campaigns. In fact, it is probably the most high profile recruitment campaign and for anyone that works in the world of employer branding and communications, one that you end up referencing to explain what you do at work! The campaign refers to 'snowflakes', 'phone zombies' and 'me me me millennials' which naturally sparked an element of controversy, but actually this was exactly the tactic they were trying to use to grab attention to create the all important perception shift. The old 'guns and tanks' route wasn't getting the attention or creating the appeal for people wanting to sign up for that as a career. Like with any organisation, it is the people that make it. So some attention seeking tactics have taken place to get people to take a look, but that has helped them to then share the messages that will ideally shift the perceptions of the Army, a human organisation that values key skills such as patience and resilience. 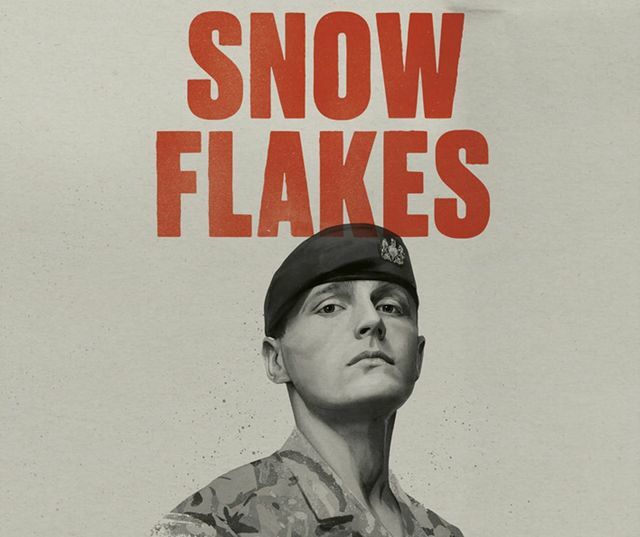 In 2019, it looked to challenge perceived weaknesses by highlighting how the army could use people with the ‘compassion’ of snowflakes, ‘stamina’ of gamers and ‘confidence’ of selfie addicts. It might have had its detractors and caused some controversy but Terry says it has been successful in leading a reappraisal of what an army career looks like. Shifting perceptions of an army career While the British Army has seen a sustained uplift in website visits and applications since the campaign platform launched two years, it has also seen a shift in perceptions. Terry claims that interest in wanting to join the army among its target audience is at its highest point in the last four years; among parents who have sons or daughters looking to join, levels of encouragement are up 60% since 2017.